Ref. 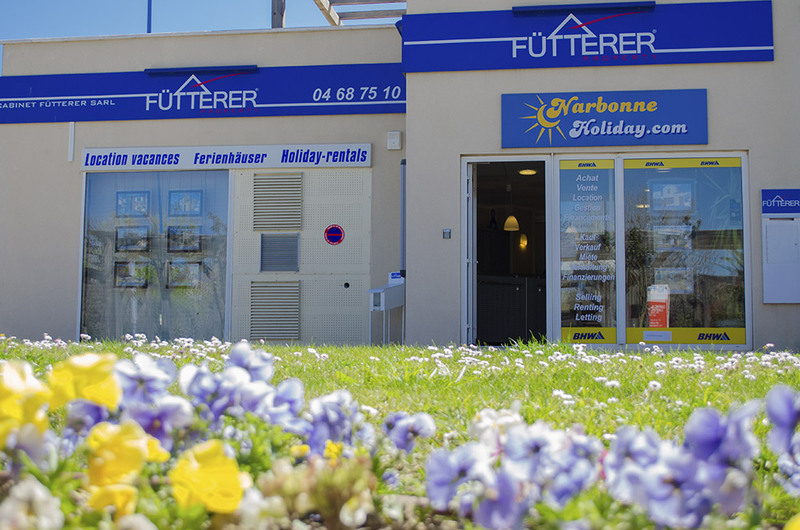 3018 - Fütterer Property introduce you in NARBONNE-PLAGE : Two bedrooms house, 67 sqm meter +garage and garden. Comprises on ground floor: 2 bedroom, bathroom, separated toilets, living room with fitted kitchen, . Garage. Located in the new side of Narbonne-Plage, in a small condo with low fees. Spacisous and bright. Perfect for holidays or for living all year round. Close to shops and beach. Regulated by a co-owner status - Co-ownership service charges of 494€ per year - Co-ownership of 78 lots.